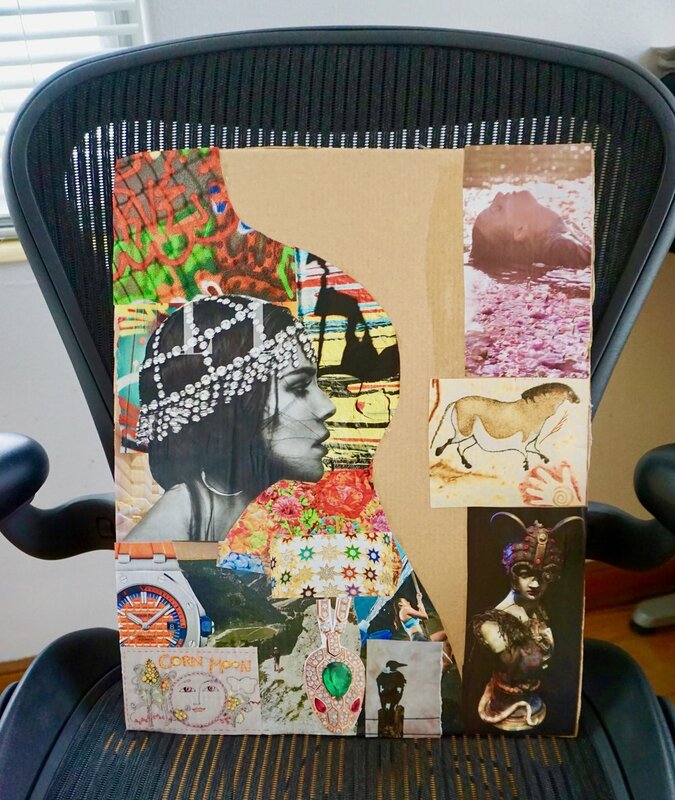 Make a Collage that Changes over Time — Hi! I'm Kat Sturges...Loving the Creative Life! 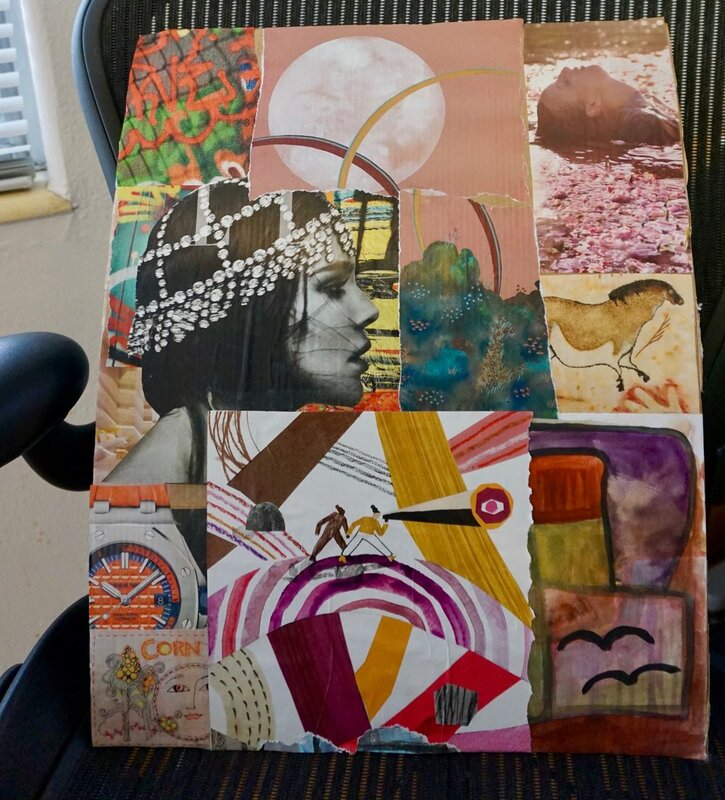 My initial collage followed the Soul Art Process. I was feeling very cut off from my spirituality when I made the collage. So I added imagery that appealed to me at the time. The left side was created by standing against a wall with paper taped up. I traced the outline of my upper body profile and then used the cut out as a template for my collage. Here is how the collage originally looked. The initial imagery really resonated with me at the time. All the images were from magazines, Cloth Paper Scissors, fashion magazines. After a couple of days looking at this collage I added more to it. I realized that the cardboard that was showing did not appeal to me. Over time this collage has morphed and changed. I add to it every few months, or tear off paper in certain spots and cover the area with something new. It is really cool because as I change the collage changes too! One time I added a watercolor to the work, and later covered up part of the watercolor. I added imagery from my Spirituality and Health magazine. And this work will continue to change and morph as I do. You could easily do this with poster board as the backing. My work was created on cardboard that I cut off of some packaging I had lying around. And I just use glue sticks and scissors. Here is how the work looks today. It is in my living room, and I love to look at it and ponder my spiritual journey. I have gone through a lot of changes over the past few years spiritually speaking. And documenting the journey helps me get a handle on my current beliefs.